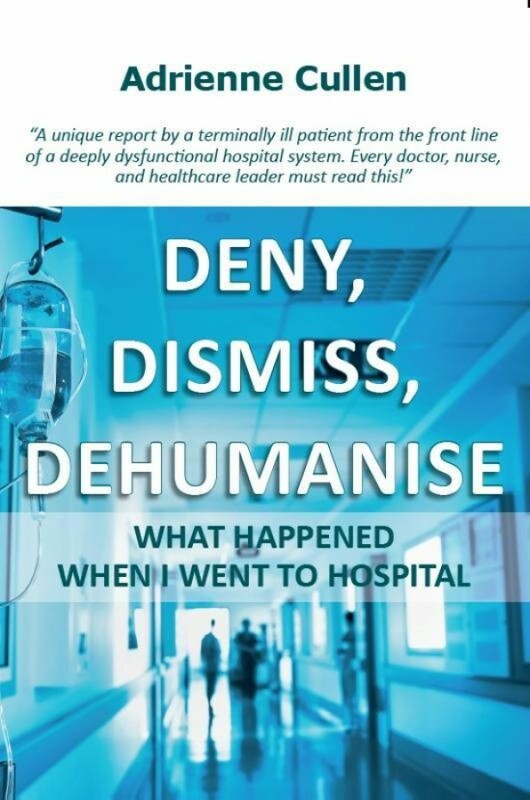 ONE woman's shocking battle with the 21st century hospital that killed rather than cured her ... her chilling report from the frontline of a medical system struggling to cope with its own complexity ... and her campaign against the secrecy surrounding "avoidable medical error" which costs 100,000 lives across Europe every year. "Adrienne was a truly formidable woman", Vicky Phelan, campaigner who exposed Ireland's CervicalCheck cancer scandal. "I am horrified by your story ... It is of the first importance", Sir Harold Evans, campaigning former editor, The Sunday Times. "I have great respect for Adrienne's tireless efforts to achieve official acknowledgment and increase transparency in cases of medical error ..." Mark Rutte, Prime Minister of the Netherlands.